Adelaide is the capital of the South Australia in Australia. The city has a population of 1.2 million people. Adelaide is a coastal town located on the eastern shores of the Gulf of St Vincent. The city is named in honor of Queen Adelaide of Saxe-Meiningen. Adelaide was founded in 1836. It was planned as the capital of the British province in Australia. The location was chosen near Torrens River in the place where people of the tribe Kaurna once inhabited. 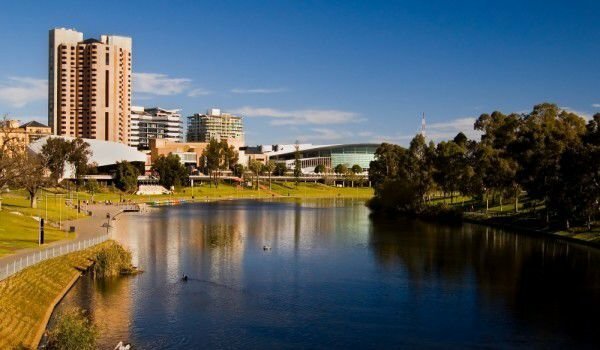 Adelaide is crossed by wide boulevards and large squares, and entirely surrounded by a park. In the beginning the city was known as a city of churches for the religious freedom, which is reigning in it. As the seat of Government of South Australia, Adelaide is a place where there are collected many government and financial institutions. Most of them are concentrated in the city center. Adelaide hosts various festivals and sporting events. Adelaide was established as a free center for immigrants, promising civil liberties and freedom from religious persecution. As it was thought that the colony of free settlers will have less crime, so the construction of a prison has not been provided for. However, following the murders in 1838 the South Australian police force was created. In May 1838 follows the first hanging of a criminal in Australia. In 1841 began the construction of a prison in Adelaide. At that time, barracks and hospital, customs and port were built for the police. There are houses for civil servants and missionaries. Nearby are found deposits of silver and this created a mini-extraction of the metal. The city began to export meat, wool, wine, fruits and grain. There are established trade links with the rest of Australia. In 1860 the Thorndon tank was opened, to provide clean drinking water as an alternative to the muddy river Torrense. In 1867 the streets of Adelaide have lights, illuminated by gas lamps. In 1874 the university was founded in Adelaide and in 1881, the South Australian Art Gallery opened. In the nineties of the nineteenth century the town was hit by severe economic depression. The value of exports of South Australia fell by nearly a half. Drought and poor harvests of 1884 exacerbated the situation and many families left town to head to the west of the country. The only sectors that do not suffer from the economic crisis, are the production of wine and honey. After the World War 1, came the period of the Great Depression. After it blooms again the city was under the leadership of a strong government. During World War II industry in the city develops. In the sixties of last century, in the town was established Festival of the Arts, which today is celebrated every year. 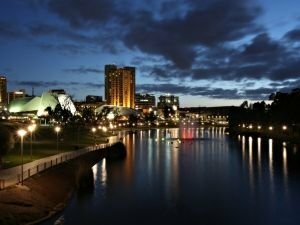 In the nineties of last century Adelaide and South Australia are in recession. In recent years, however, there is the rise of the urban economy.